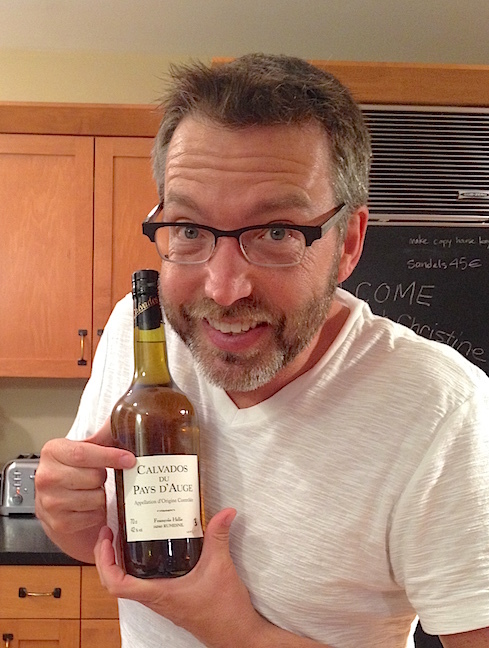 28 July 2015 : Calvados / Ella Update / ESL? So on a Tuesday night in which we have visitors from France, it’s about time for me to break out the Calvados (French apple brandy). Of course, the French visitors BROUGHT the Calvados from Normandy, the only place in the world in which REAL Calvados is made. So don’t keep me occupied with blog posts, I’m anxious to go have my taste! Meanwhile, regarding the Ella update… She had her official OCI orientation today. She took the bus to school and returned home weighted down with multiple textbooks, along with her official clothing that she needs to wear each day. Classes begin tomorrow so she’ll be super busy. 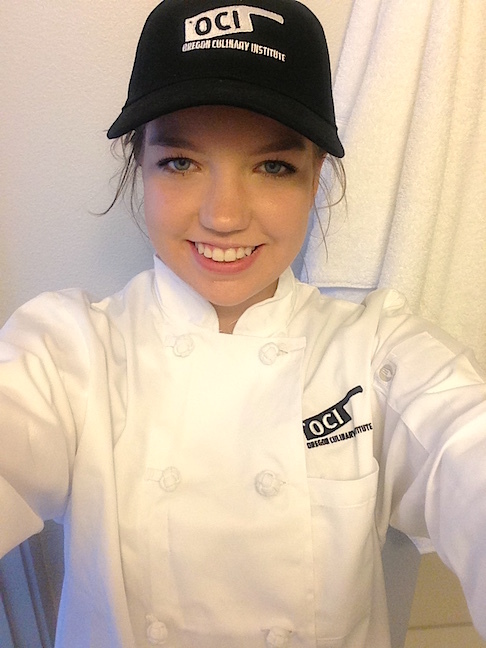 She has “Fundamentals of Restaurant Marketing” and “Restaurant Service Practical.” She sent out an email that included this particular photo of her in her outfit. I don’t know about you, but I think she looks pretty darn good. Oh, regarding Celeste… She went to the main Seattle School District office today to be tested on her proficiency in English. She did quite well, scoring on the cusp of needing an ESL tutor. That’s impressive! In other words, I think her English is better than mine. It’s just understanding those nutty idioms… I mean, who uses “bubble” as a verb, as in “bubble” in your answers on this standardized test?